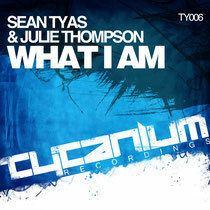 Sean's Tytanium Recordings label is back this month with 'What I Am', Sean's debut collaboration with singer / songwriter Julie Thompson and the track is already crossing musical boundaries with early promo support coming from DJs spanning trance to house and everything in between, plus even mainstream radio playlist rotation. The track is released in a few days time complete with Bryan Kearney and Magnus remixes, and the Tytanium Recordings schedule continues with a label debut from Darren Porter plus another massive vocal track from Sean Tyas - this time with Nicole McKenna - to follow next on the label. The Tytanium takeover will continue in early 2013 as Sean's weekly Tytanium Sessions radio show hits the landmark 200th episode in May. Early plans are already underway for a special series of Tytanium 200 club shows that will surpass the Tytanium 100 weekend which took place in New York, Miami and Montreal in the summer of 2011. This year has also seen Sean breaking new ground with his studio productions with releases on trance labels such as Vandit, Subculture, Magic Island and FSOE, alongside showcasing his progressive and electro edged sounds on labels like Spinnin', Tone Diary, Big Fish and Burn The Fire. Look out for his remix of Ashley Wallbridge 'Keep The Fire', a new single ‘The World’ on FSOE with Lofi Sugar providing a beautifully warm vocal top line and an electro fuelled Sean Tyas release presenting Naes called 'First Date' on Big Fish recordings. He also has shows in Asia for Cream in the Philippines, Godskitchen Boombox in Thailand and Avalon in Singapore, a return to his native New York for Massive Event at Webster Hall as part of a North America tour, plus headlining UK club Passion on NYE.